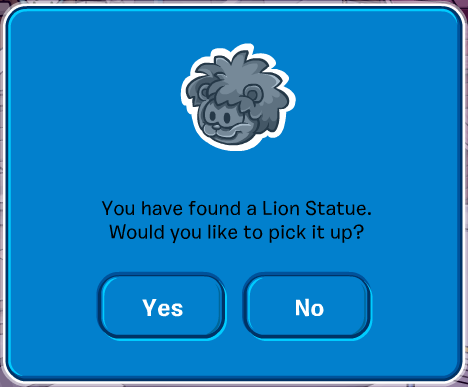 New Lion Statue Pin Found March 2014! There's a new pin on the island. You can no longer get the last pin. The new pin is called the Lion Statue pin. You can find this pin by going to the mineshack. Open your map and click the Mine icon. I have no idea if it's for The Muppets World Tour party or if it's just a random pin Club Penguin decided to make.